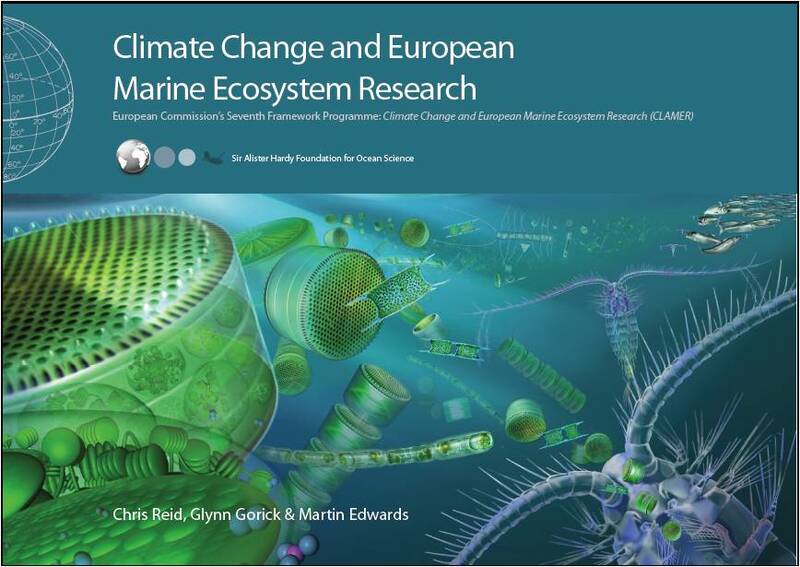 'Climate Change and European Marine Ecosystem Research' is a 53-page publication, edited by SAHFOS, focusing on the impacts of climate change on the European marine environments and comprising stunning illustrations from Glynn Gorick. The booklet aims to inform the public at large in an easily digestible form on the main outcomes of the project. Research results about the effects of climate change on the seas are summarized in 12 themes each of them accompanied by a clarifying composite illustration. The booklet also features the results from the European survey of public perception and awareness of climate change impacts on the marine environments.